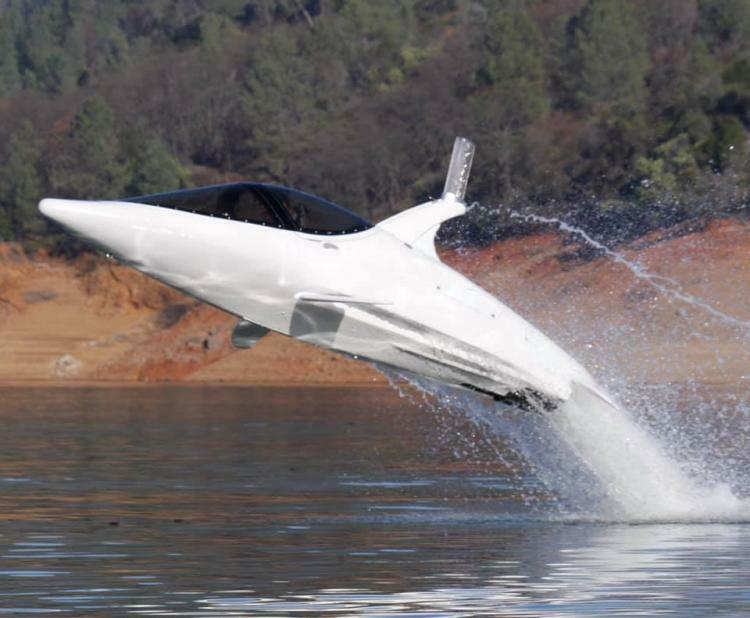 If you've ever dreamed of flying through the water like a jet pilot would do in the air, look no further. 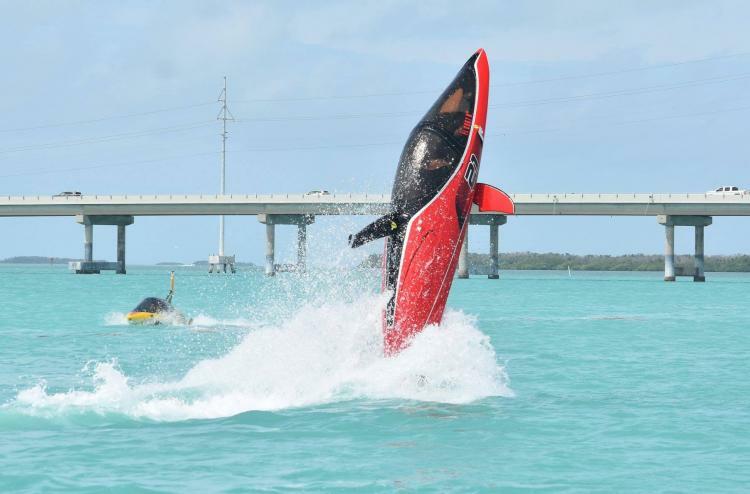 This thing is called the SeaBreacher, and it's designed to look and function like a dolphin flipping through the ocean. 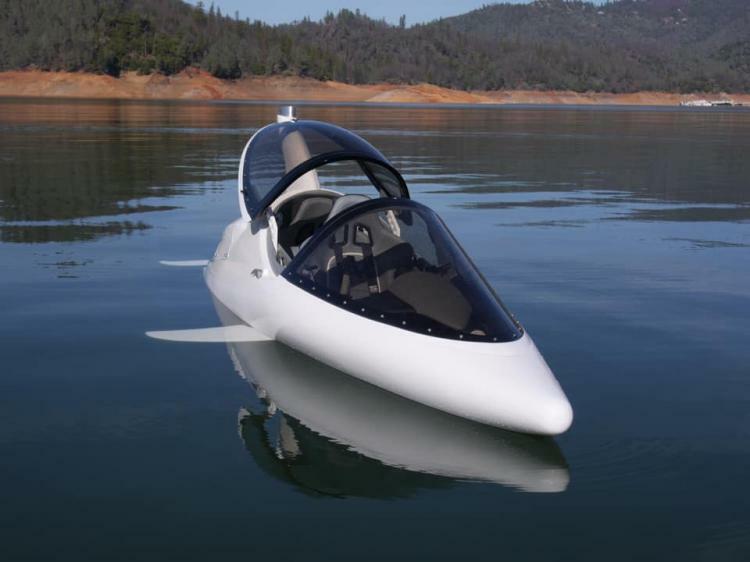 It's a two-person boat/submarine hybrid that lets you both cruise around on top of the water, and dive down into the water, fully submerging the watercraft. 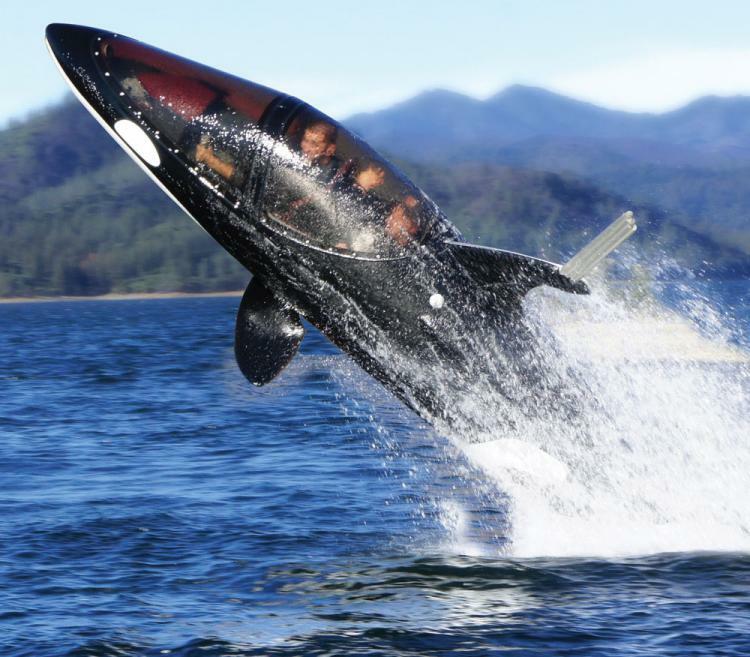 The SeaBreacher is sold by custom order only where you can select every option you want on the watercraft, along with customizing the design of the exterior to look like different animals such as dolphins, killer whales, sharks, and more. It gives a unique twisted union between a marine mammal and a fighter jet. 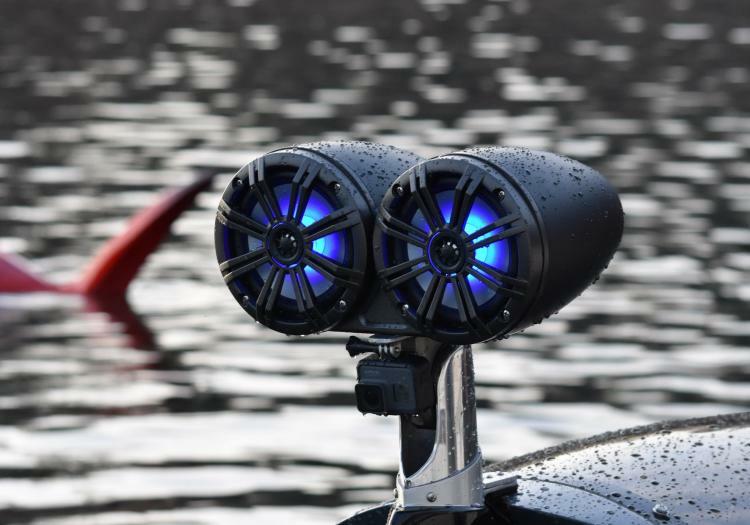 How do you operate the SeaBreacher? 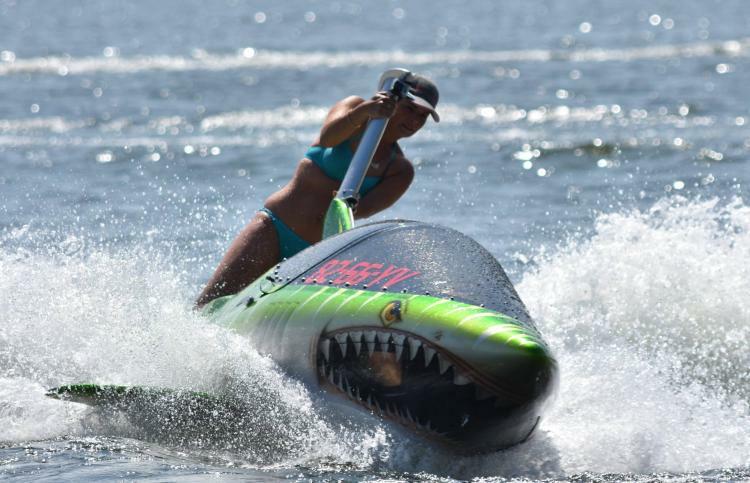 The SeaBreacher uses pedals and hand sticks to move and operate the watercraft. 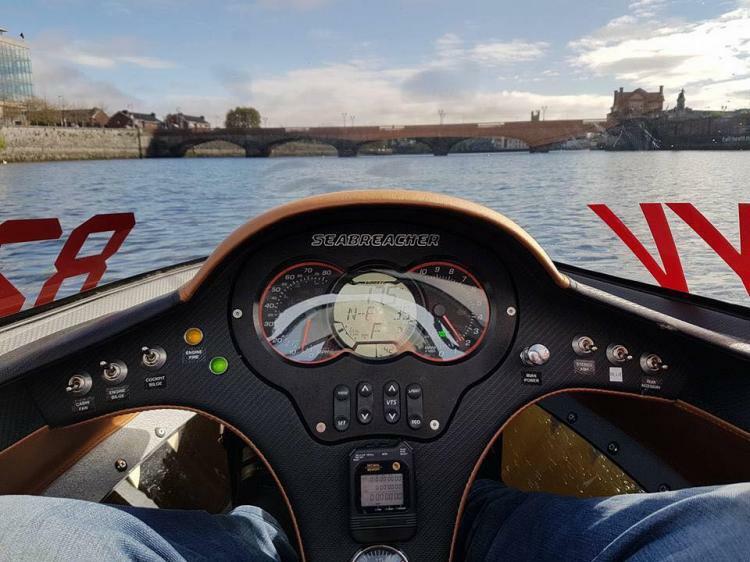 When you push both hand sticks forward, the watercraft will dive down into the water, and when you pull both the sticks backwards, the watercraft will pull back up towards the surface of the water. 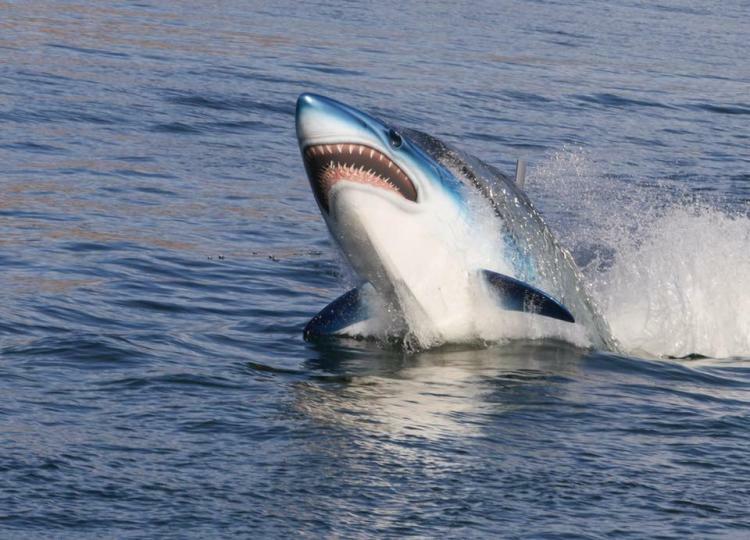 If you dive correctly you can pull it up fast enough to breach the water like a real dolphin or whale. Two pedals located by your feet allow you to steer the device left or right. The pedals actually turn the jet nozzle in the back of the boat left and right. 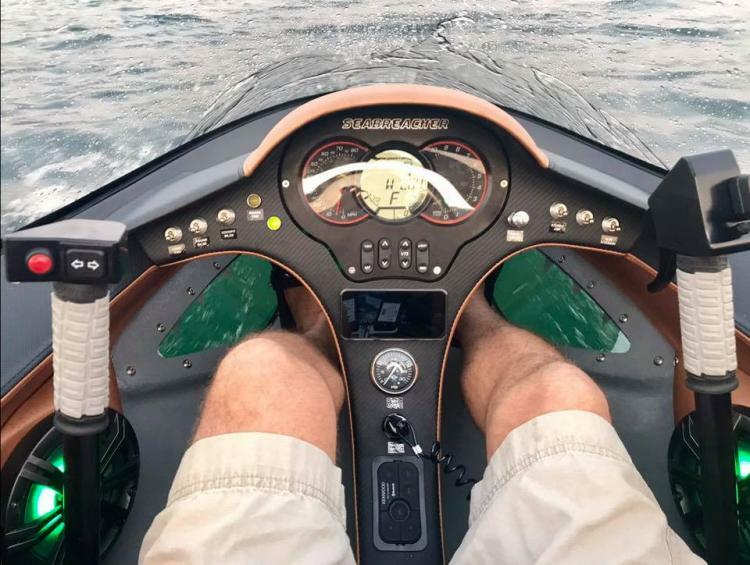 The pedals actually move left and right and up and down, using different techniques will assist in diving and surfacing the watercraft. 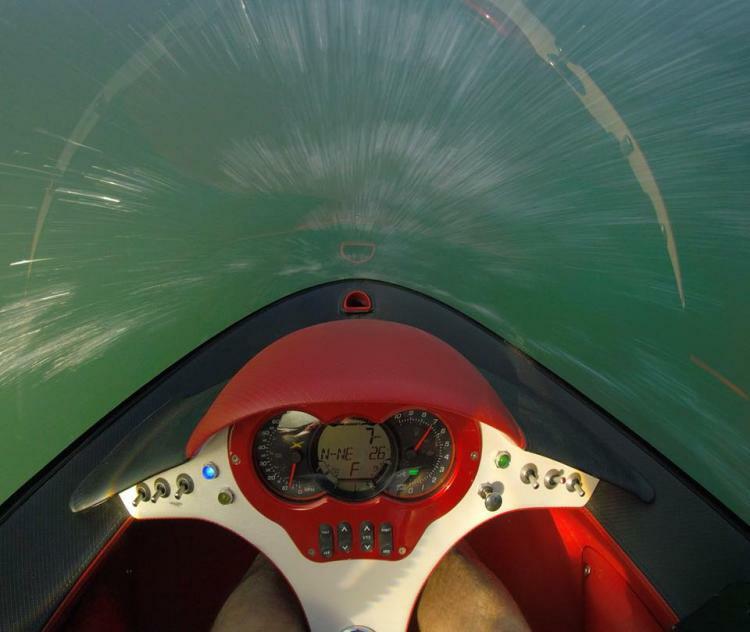 You can even do a barrel-roll on top of the water once you have enough experience. 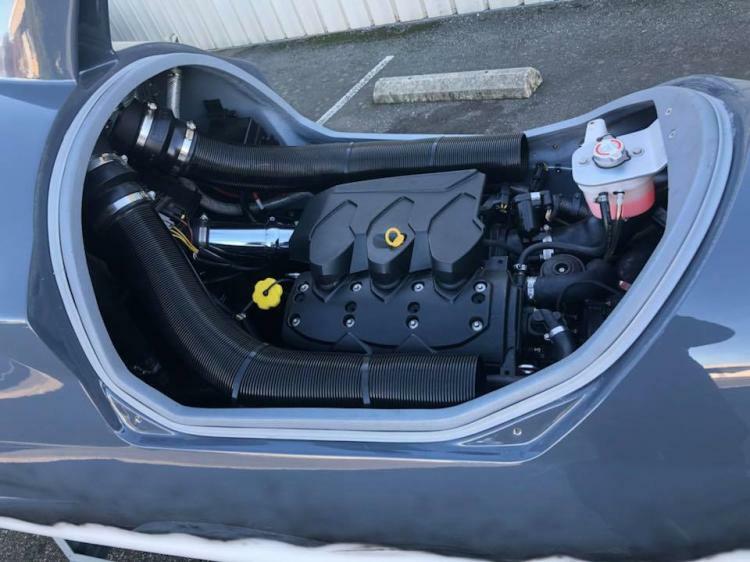 Although the SeaBreacher is classified as a conventional inboard powerboat and not a submarine, the watercraft can still dive up to 5-6 feet underwater. 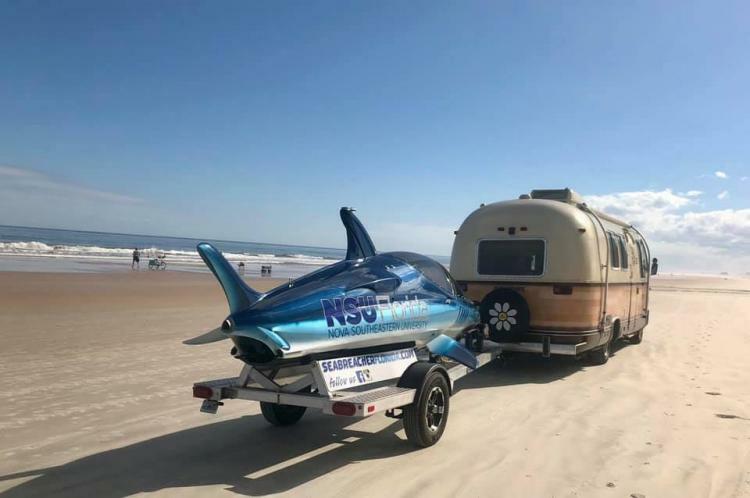 The boat is only meant to stay underwater very briefly, so it's not like the ego submarine where you can stay underwater and watch the sea life through a window. 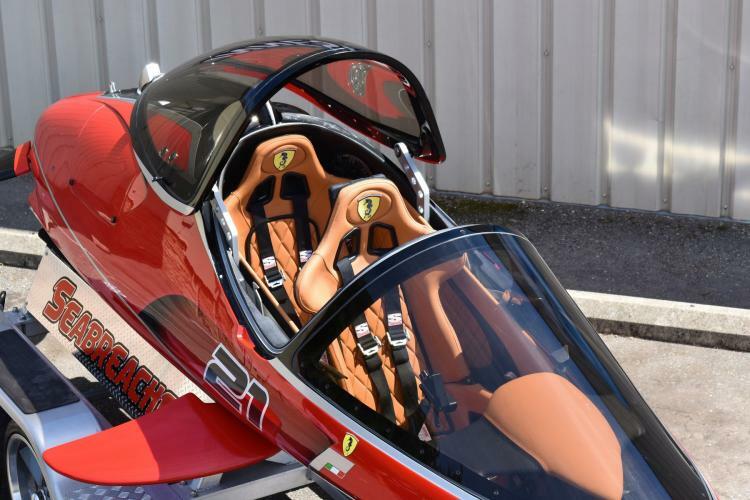 The SeaBreacher features a top jet-fighter like window that you can actually open up when while you drive if you stay above the water. 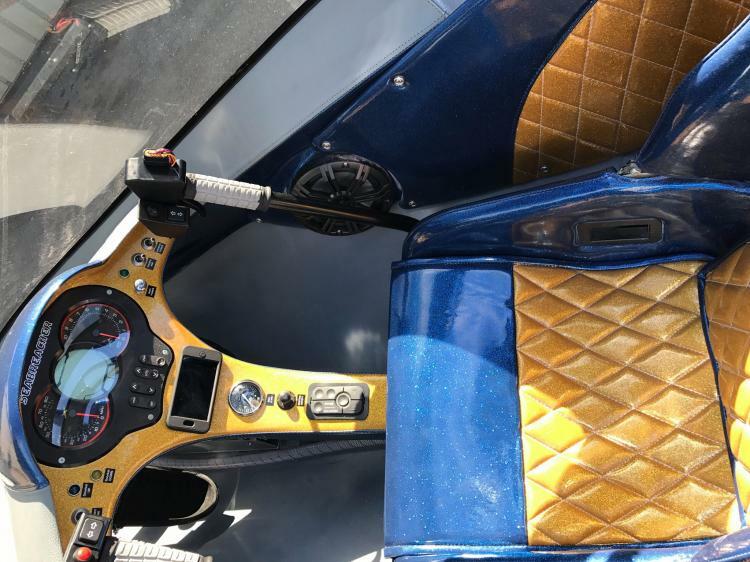 It has seating for up to 2 people, and has custom dashboard options that let you customize the instrumentation, the LCD video display with a live camera feed, a marine stereo system, along with an iPod/iPhone dock. 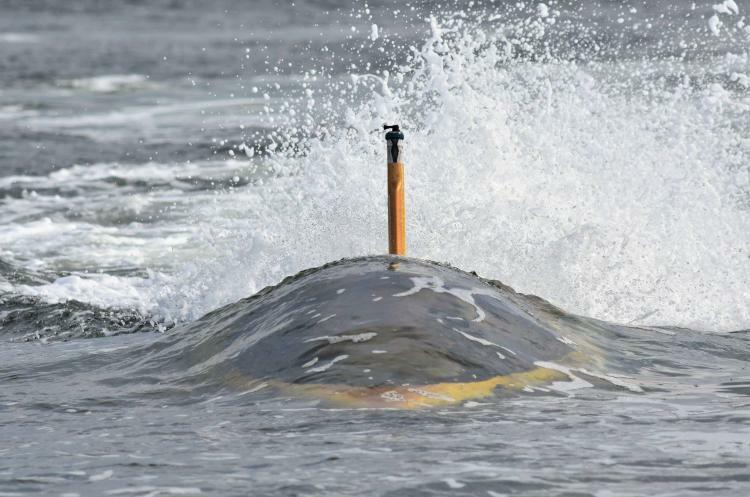 How fast can the SeaBreacher go? 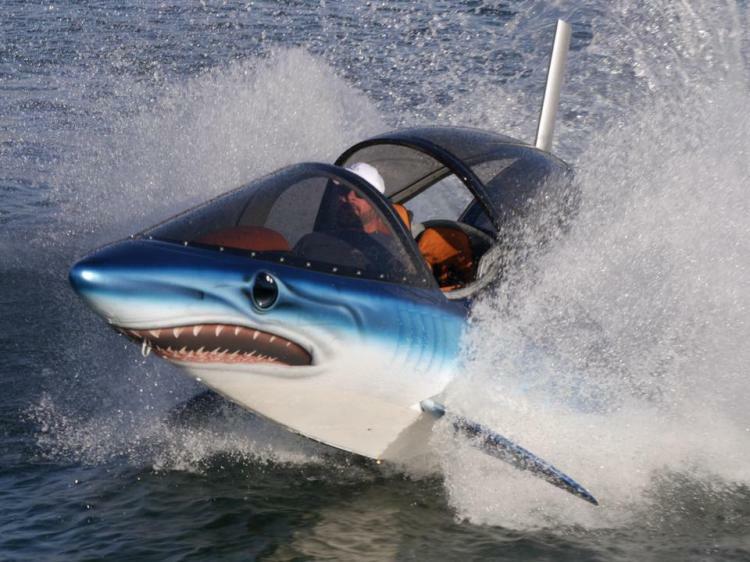 The SeaBreacher can reach speeds of up to 50+ mph on top of the water, and speeds of up to 20-25 mph while underwater. 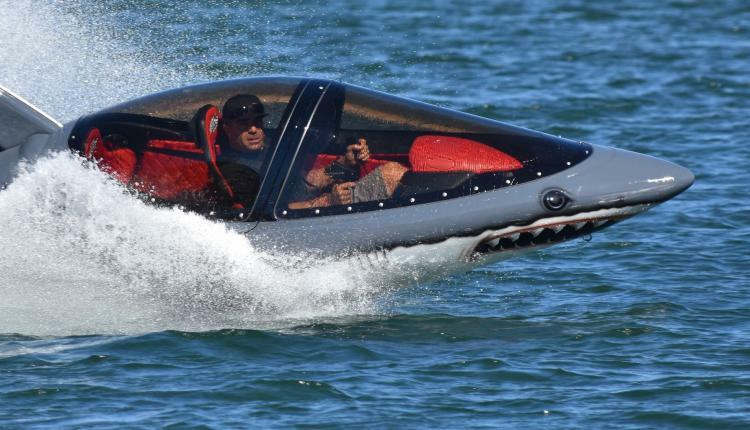 Check out the SeaBreacher dolphin inspired jet powered boat submarine hybrid in action via the video below.